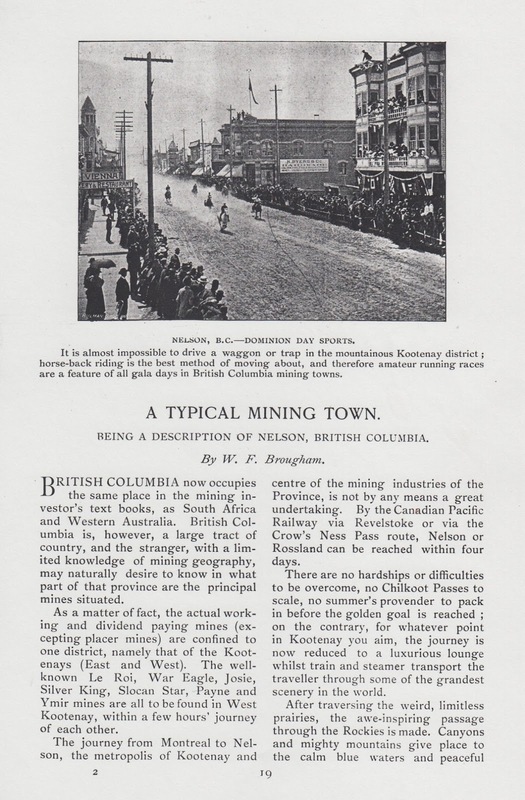 ‘A Typical Mining Town. 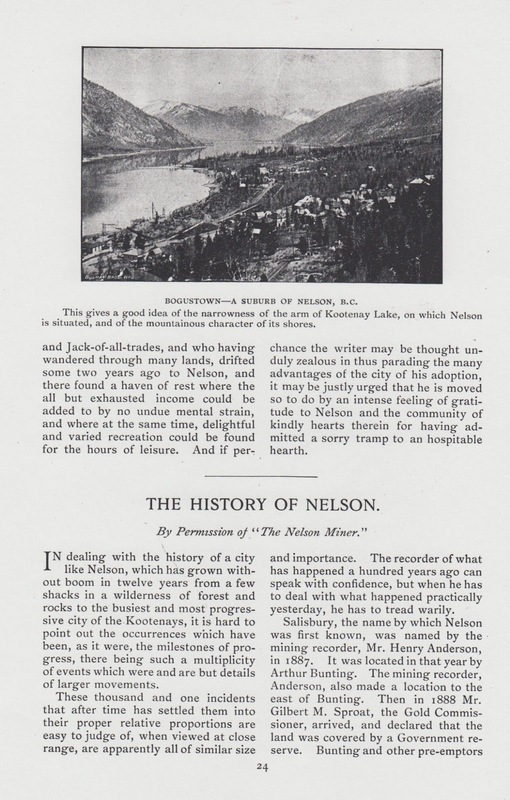 Being a Description of Nelson, British Columbia’ and ‘The History of Nelson. 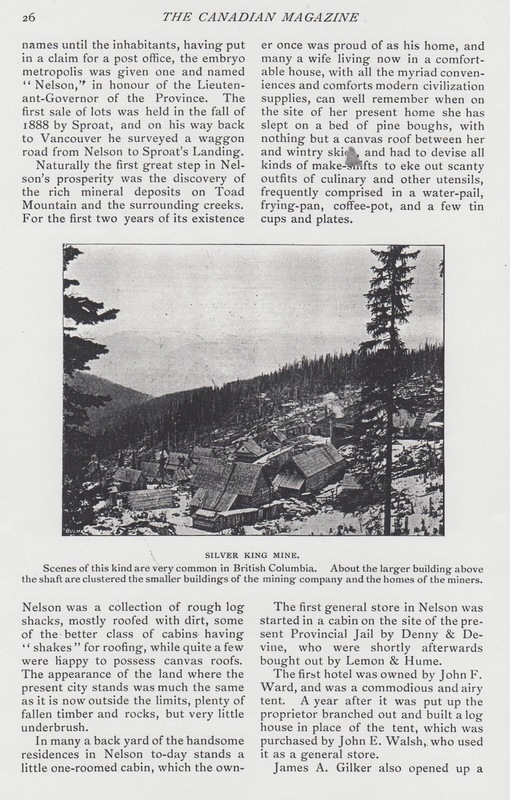 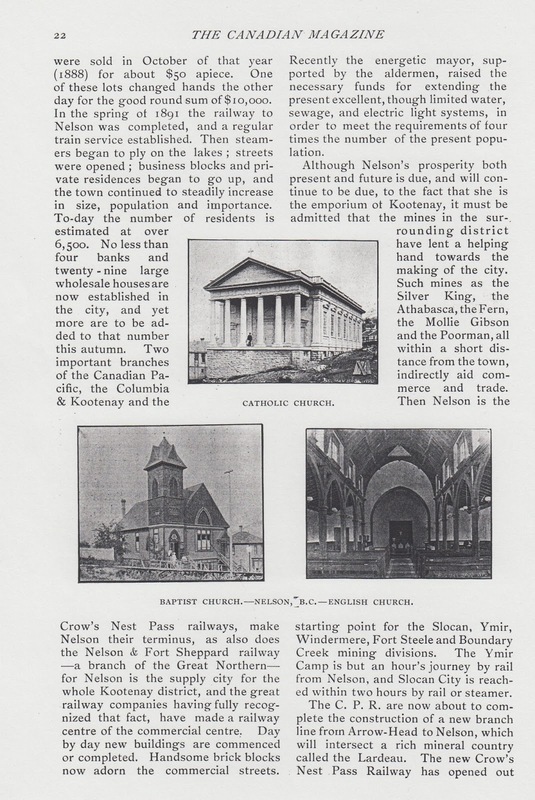 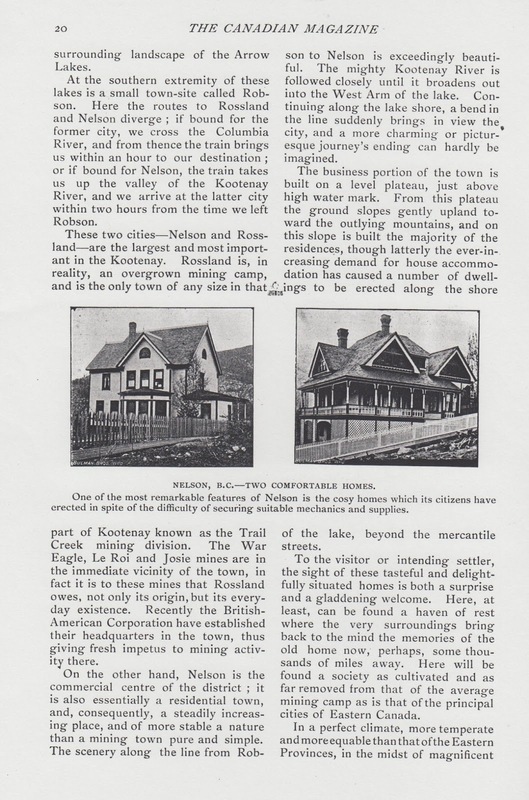 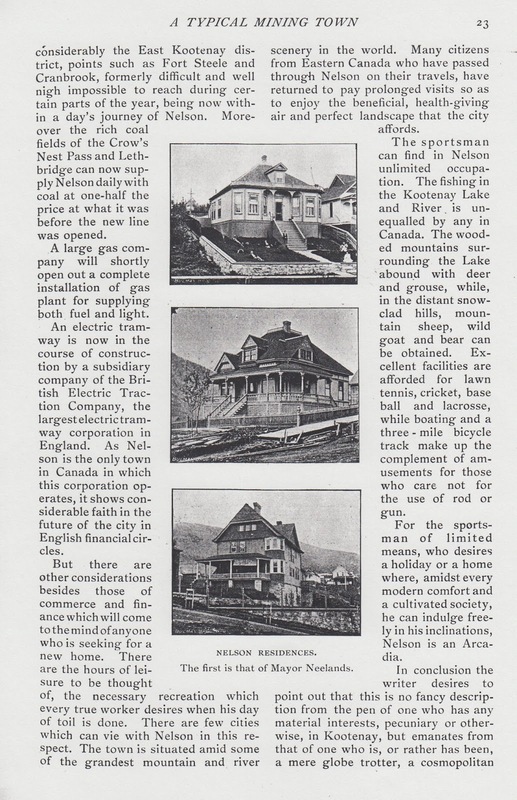 By Permission of “The Nelson Miner”’ — both from The Canadian Magazine, Vol. 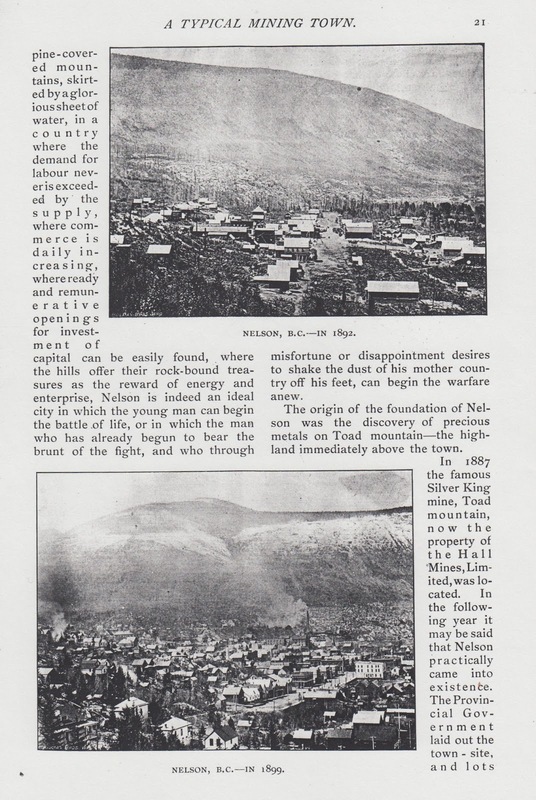 XIV, No. 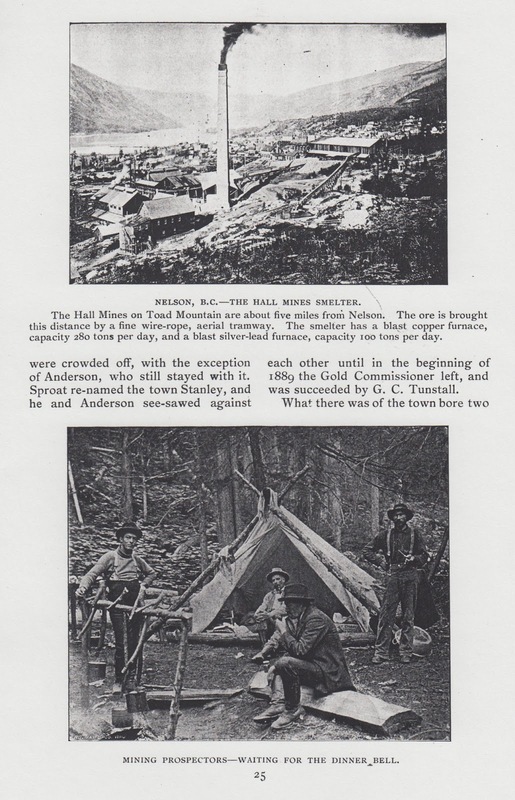 1, November 1899, pp.19-27.